4,000 and 10,000 lbs. capacity. 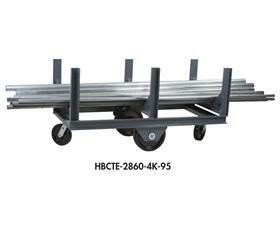 Elevated cradles accommodate forklift loading. Specially designed "C" channel cradles provide increased capacity. 3" and 4" channel frames (4,000 and 10,000 lbs. capacity respectively.) Elevated cradles accommodate easy forklift loading. 4,000 lb. 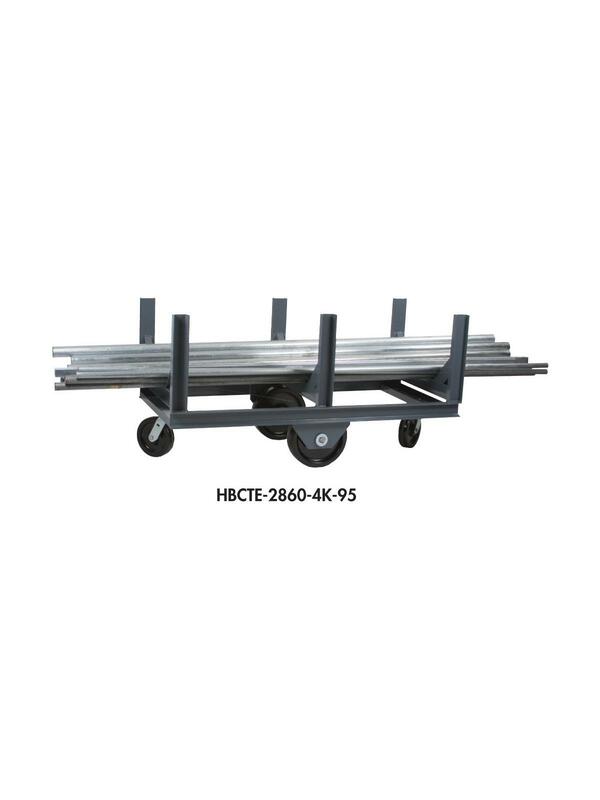 capacity models have 10" x 2-1/2" phenolic wheels (2) rigid and 6" x 2" phenolic bolt-on casters (2) swivel. 10,000 lb. 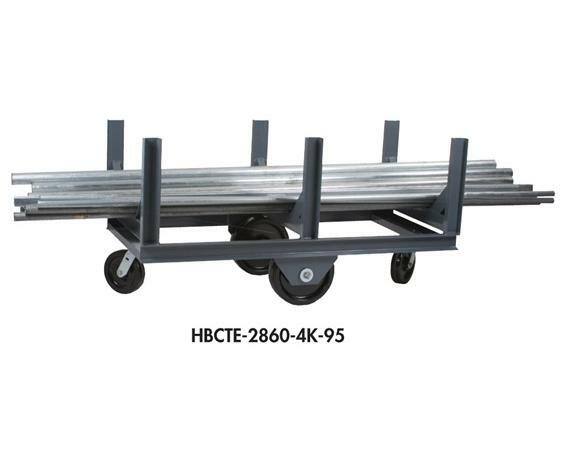 capacity models have 12" x 3" phenolic wheels (2) rigid and 8" x 2" phenolic bolt-on casters (2) swivel. Wheels and casters are arranged in a diamond pattern with 1/2" tilt. The truck is easily moved, loaded or unloaded. Gray powder coat finish. Shipped fully assembled and ready for work. FOB Shipping Point. 28 x 60 x 28-1/8"28 60 28-1/8"